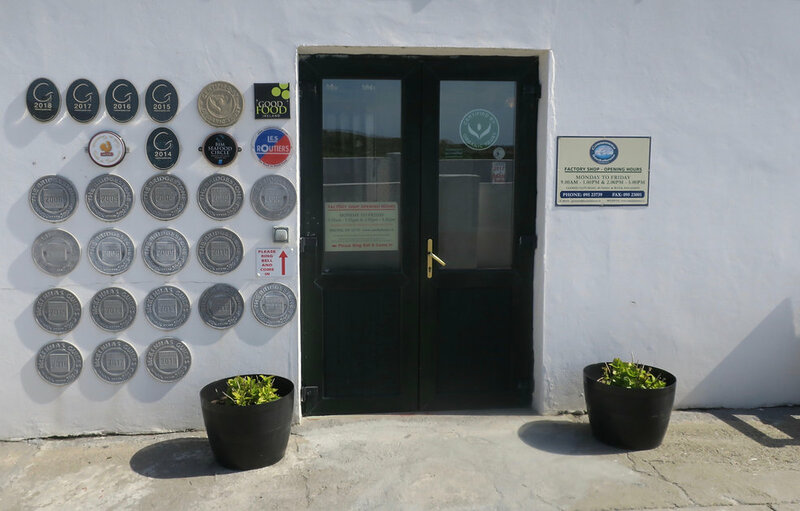 The highest quality smoked salmon, rarely seen smoked wild tuna and smoked tuna mousse, smoked mackerel and smoked mackerel spread are a few of the items available to visitors at the headquarters of Connemara Smokehouse. This is a highly recommended stopover on the Wild Atlantic Way. 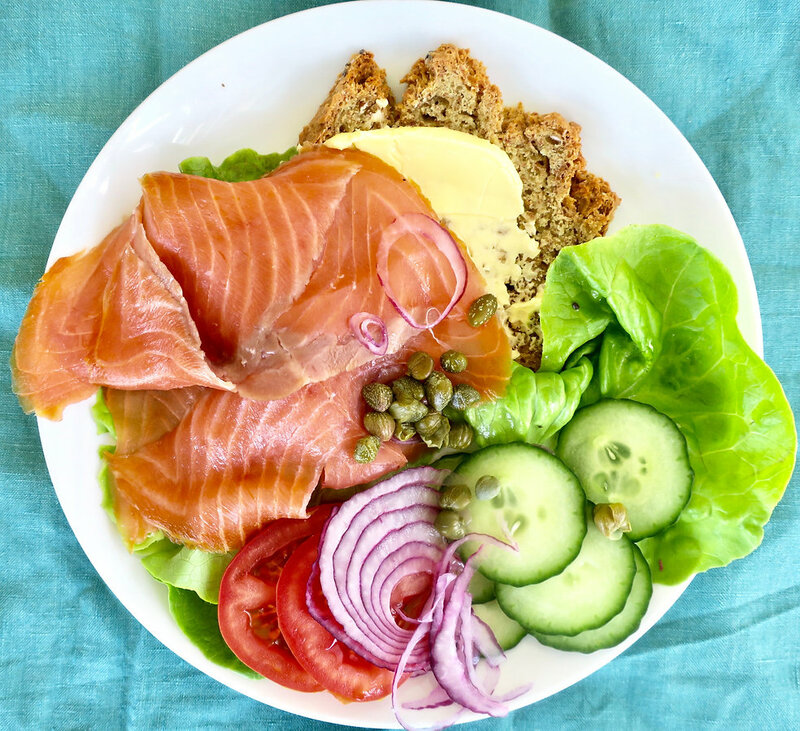 As avid readers of this blog may remember, I sampled the excellent smoked salmon from Connemara Smokehouse a little over a year ago at the Misunderstood Heron food truck on Killary Fjord. I was reminded of this salmon’s silky texture and perfect balance of smoke and salt when owner and manager Graham Roberts gave me a sample at the Tourroir conference hosted by Good Food Ireland in April. I resolved to pay a visit to the smokehouse. While I was there, I bought a lot of smoked fish. The smoked salmon was as good as I remembered. The smoked tuna mousse was exceptional–even my kids, who shun smoked salmon, gobbled up tuna spread on crackers. I talked with operations manager Nicolas Gay, a seafood loving Frenchman from Montpelier, for quite awhile. The high quality of the Irish salmon used at Connemara Smokehouse is the main reason for the superior texture and flavor he told me. 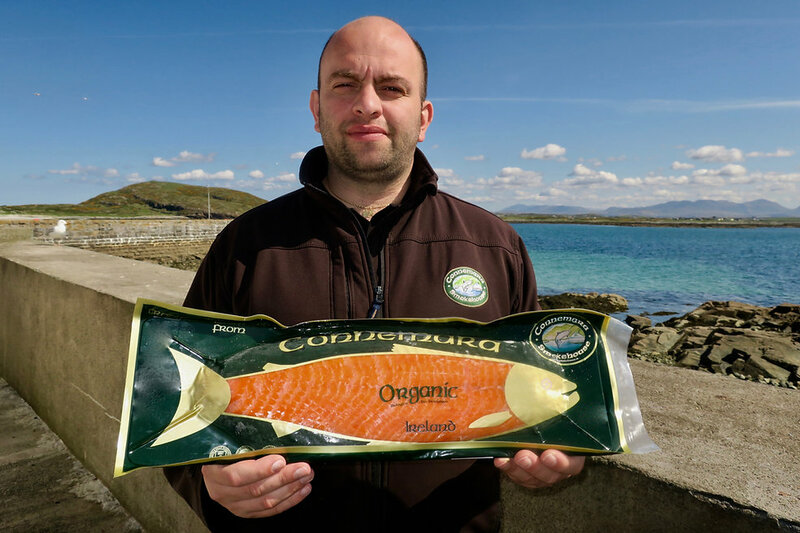 The Organic label smoked salmon is made with fish from an organic salmon farm at Clare Island, off the coast of Mayo. The wild salmon isn’t in season yet, but Gay suggested I make sure to come back and get some. In his spare time, Gay goes fly-fishing at various fresh water lakes and streams. Now that’s a guy who likes fish! There isn’t much of a tour available, unless there is fish being processed. But the main reason you should visit this fish lovers’ heaven is to see the Connemara Sands area and take in the gorgeous scenery of Connemara itself. As luck would have it, I went on a bright and sunny day. The blue and turquoise waters of the Atlantic sparkled over the bright white sandy beaches of Connemara. It looked like a Caribbean island–except nobody was swimming. It was May and the water was still too cold to brave for very long without a wetsuit. I vowed to return with a fishing pole to see if I can hook some flatfish on the sandy bottoms–and to buy more smoked tuna spread.